Like can be used as a noun or as a preposition. What does he like? It indicates preferences. 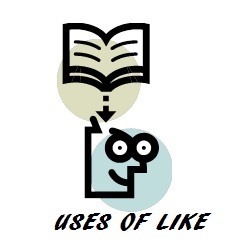 Like as a verb is followed by –ing, for instance, I like listening to music or I like playing football. What does she look like? Prepositions. It deals with physical appearance. What would you like to drink? To express desires. Would like is followed by –to infinitive. I would like to have a coke.